I love Disney products. And now that we are 52 days away from Christmas I figured it would be a good time to share these with you. I don’t like to overdue it on “Disney swag” but I love to always have hints of Disney everywhere. I had this amazing Starbucks Coffee Travel Mug that I got from Epcot on a visit to Disney and then one day when I put it in a box of stuff to take home from my office it fell out of my car. When I say it was the most beautiful coffee cup I ever owned, I’m not kidding. Lucky for me I found it on Amazon and now you can too. The Starbucks line also includes a You Are Here mug collection which has a mug for each theme park. Here are some more mugs that I love! Use this inexpensive Mickey Mouse French Coffee Press to make some warm, exotic yet lively coffee. Serve them with delicious Mickey shaped cookies courtesy of these cookie cutters . When you’re drinking that delicious coffee, tea, or hot chocolate why not keep it cozy with a Disney themed, yet very tasteful blanket like this Aladdin Tapestry Throw Blanket . You can also make it more Mickey with this one or this one that also comes with a backpack. 2 for 1! Let’s take it back to the kitchen. Finish a tough day at work with this Disney wine glass but don’t forget coasters to protect you r nice furniture. What I love about bringing Disney to the kitchen is that it remains discreet and classy. Take a look at these cute Magic Kingdom themed salt and pepper shakers , they’re definitely on my Christmas list for this year. Bring Disney to your appliances with this Toaster & Bread Box set , so beautiful! Or you can start the morning off with this waffle maker . Another thing on my Christmas list is a Disney dinner plate set , I have one set of dinnerware that I’ve had for YEARS so It’s probably time for an upgrade. My favorite dinner plates are the Be Our Guest series . I have these measuring spoons I’ve had for so long that the size is coming off from being washed often. I’m trying to convince my girlfriend to let us get these measuring spoons to join our collection of other Disney kitchen things. I would also settle for this spoon rest . I’m not a huge dish towel fan. Only because they make your kitchen look sloppy if they aren’t placed just right and also clean. But Disney does a wonderful job at dish towels and if I agree to getting more it would be these Castle ones . You know, I’ve been trying to bring Disney to the bedroom as best as I can. So far I’ve managed to work this elegant Disney picture frame in. I also know that I could probably get these couple’s pillowcases for us. No worries, there are so many other options out there. There’s something about white linens that I really like. It’s so inviting and clean looking. That’s why this “Never Grow Up” Peter Pan pillowcase is perfect. For a living room option check out this cushion throw case that anyone would want. There are some pretty big ones but they’re so amazing. I just came upon this Peter Pan one that would work in all living rooms. Also, this castle one that would probably work best in a kids room. I feel like it’s a little too much for even me or my (future) kids. However, these decals for the stairs is something I ordered right away. They’re going on either my basement or attic steps as soon as they get delivered. I might just repaint the attic steps like in the picture too. I might just ask for this Beauty And The Beast shower curtain and/or this bath rug. They don’t really work together though. I do think that Peter Pan and Beauty and the Beast are the movies that correlate with the best home decor. Just take a look at this Big Ben wall clock from Peter Pan or Lumiere figure . Let’s talk about different Disney accessories. The kind of things you can wear every day and take a little bit of Disney with you anywhere you go. Everyone’s heard of Alex and Ani right? What about Pandora? What could make a girl feel more like a princess than a Pandora Princess Crown Ring ? And if you are a big Pandora fan than you’ll also love this limited edition/super hard to get Mickey’s Sorcerer’s Hat” Charm . Pandora’s partnership with Disney was really a good idea. I mean just take a look at this Cinderella Pumpkin Coach Charm with 14k Gold Crown . But Pandora isn’t the only one with a Disney partnership. Let’s talk about Alex and Ani and their fashionable and inexpensive bracelets that even the nominal Disney fan would love. Check out this Cinderella a Dream Is a Wish Your Heart Makes Gold Bracelet or this Jiminy Cricket When You Wish Upon a Star Silver Bracelet . I’m not girly at all but even I love these. I can wear these bracelets or charms to work without looking too Disney obsessed and they go with all types of outfits. This one is super simple, Magic Kingdom Cinderella Castle Silver Bracelet . Same here with the Mickey Mouse Silver Bracelet . You might be thinking, how expensive are these things? Some are down at the $25 mark and some go above $100. It also depends how long you wait, the price is guaranteed to go up. If you right click (or hold down on mobile), you can open the links in a new tab and check it out later. Watches anyone? This watch is technically for men but with it’s average size face and leather straps, it can work for anyone. Feel free to have Mickey on your wrist during that tough day at work. Same Vintage Mickey Mouse Watch but this one has black leather straps. That wraps up our trinkets but if you’re looking for something to store all this in, (or bring it with you on your next vacation), look at this Cosmetic Bag in Dreaming Mickey By Vera Bradley . Some women like purses and some women like backpacks, (some women like both), but everyone, including men, would love this Walt Disney World Exclusive Backpack . If you’re into drawstring backpacks than check this one out because it’s under $20 and also comes with a soft blanket. I know I’m not the only one with a 15in laptop, but if yours is smaller, this Disney Daypack is impressive to say the least. All I need now is a Disney Princesses Wallet and I’m good to go! My girlfriend is a Little Mermaid fan so she would probably go for this wallet . For all my StarWars fans , check out this R2 D2 Wallet . Let’s start with traditional Mickey and Minnie luggage. Both are beautifully done and have 4 wheels for easy rolling. I know you want 4 wheels! If hard-sided luggage is more of your thing than check this out . Talk about Disney on the go. I would even greatly appreciate this duffel bag . Certain occasions require a duffel bag and not a full on luggage piece. Don’t make the mistake of traveling without a luggage tag. You can choose a traditional and very inexpensive Mickey one or this 4pc StarWars set . And while you’re at the airport use this ADORABLE Vera Bradley Hipster Bag as your personal item and keep all the important stuff close. When I travel I usually have my laptop on me and this laptop sleeve is perfect to keep it well protected. Pair it up with this perfect “I Love Disney” passport holder . On medication? Make sure to always keep them with you in case your luggage is lost. This pill box has the Disney Castle right on it, making it unique yet beautiful. When you get back home and get to work, bring the magic to the office with you either as a Limited Edition notebook , princess pens , or Mickey and Minnie pens . I recently visited Disneyland Paris and that’s exactly what I brought home with me. It was nice to be halfway through a tough day at work and look down at these. Remember that show with Bill Cosby, Kids Say the Darnest Things? Well my clients say the darnest things. Nothing like a traditional Disney movie as a gift. Let’s go over a few that any Disney lover would…..love. How about these awesome keychains? Disney has a pin collecting tradition that is so much fun. Even better? You can get your Disney addict started with an inexpensive starter kit that includes 50 Pins. I’ve been dying for a Disney iPhone case but I can upgrade at any point and my phone is semi-broken so it’s hard for me to justify another case until I get a new phone. This Mickey phone case is also very cute. Would I put this actually on my car or on as decoration in my office? Trip coming up soon? This is gift set is literally perfect! It’s so important to have family time and what better way than with some board games????? Disney has their own version which easily brings the magic to family night. And while a lot of these are small items you can wear or use, there’s much more! I am a proud Disney Addict and I love nothing more than wearing Disney apparel all the time! If you know someone that loves Disney even a quarter as much as I do, than they’ll love these things. We can start with this adorable hoodie that I would love to wear, My Favorite Disney Princess Is My Wife Hoodie . This Disney Is My Home Hoodie also rocks it and isn’t expensive at all. Disney started a partnership with Vans back in 2015 and the shoes are adorable! I own a few pairs. I don’t own these frost gray ones with Mickey Mouse on them. For Toy Story fans out there these Little Bo Peep Pink Vans are awesome. You can match them up with this Minnie Mouse Varsity Tee, though that might be too much Disney for one outfit. I recently ordered this Disney Is My Home T-Shirt because…well…it’s true. If you’ve ever been to Disney then you’ve seen the cute shirts that families will wear. We do it all the time too! Amazon makes packages for your whole family to have matching and adorable Disney Family Vacation T-Shirts . For all those chefs out there you’ll love this Cinderella Kitchen Apron it’s simple but very adorable. On my most recent trip with my grandparents, my grandma loved the Minnie Mouse Kitchen Apron but don’t worry Mickey gets one too . Sleep in style with these Mickey Mouse Pajamas, or if you’re into Minnie Mouse can you can find those here . I hope you enjoyed these 104 gifts. Is there anything Disney you carry or have in your home the I missed? Some cute cute things. Let it go, was just hilarious. I love Disney stuff, but my husband isn’t a big fan. All of these are really cute and some are crazy clever! 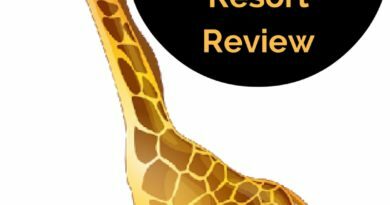 Great ideas for anyone who is into Disney – and especially for kids! That phone case is super cute and I love finding custom Disney shirts on etsy while supporting small business at the same time! Okay, yes! Who doesn’t love disney! That Mikey mug is adorable! Adding that to my wish list ASAP. My ideal Disney Christmas gift would be an Annual Pass! But, nonetheless, I would take any of these gifts. 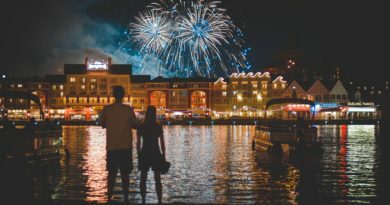 These are great ideas for that Disney lover in your life! I’m so in love with the tea cup from Beauty and the Beast. Not even for my daughter but for myself. It’s my favorite movie. I have a few Disney fanatics as friends. These would be some great gifts for them! Anything Disney and I am in! I love Disney souverniers and I think the backpack and Mickey mugs would be so cool in my kitchen! I feel like I need to go just for the gift shop haha! So many cute Disney gift ideas here! My boys love Disney, I am sure they would want about 40 or more of these. I love those Mr and Mrs pillows for my bed! These are the cutest ideas! I love those pillow cases! So adorable. Awesome ideas for Christmas for the Disney lovers. We haven’t been to the parks yet but have been on a Disney cruise. The kids had a blast. Mugs are always the best! 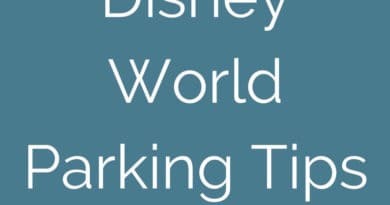 I am a Disney passholder and some of these are things we already have! Gotta love using my discount! Chip is seriously one of my favorite characters and to have a tea cup like that would be awesome. Gonna have to check these out! I love disney so much! These are perfect for disney lovers like myself during the christmas holiday season! Thanks for putting this together! These are all great ideas! I never know what to get people when I’m on trips! That toilet decal is hilarious! I am a huge fan of Disney myself and it would be nice to spread the Disney love by giving these gifts. Love the gift ideas! Everything’s just so adorable! I would DIE to have the chip mug. That is on my MUST HAVE list for if we ever visit Disney. I could probably order one, but that’s not the same! These are some great ideas. I’m not a huge Disney person myself but I have tons of friends who have passes and are obsessed. This will give some great ideas for out of the box gifts. I am dying to take my kids to Disney! They would have so much fun! I’ve been trying to wait until they got a little older, but I think they’re the perfect age! Those pillows are SO cute! I know my older sister and her husband would adore them since Disney is their thing! Who doesnt love Disney! 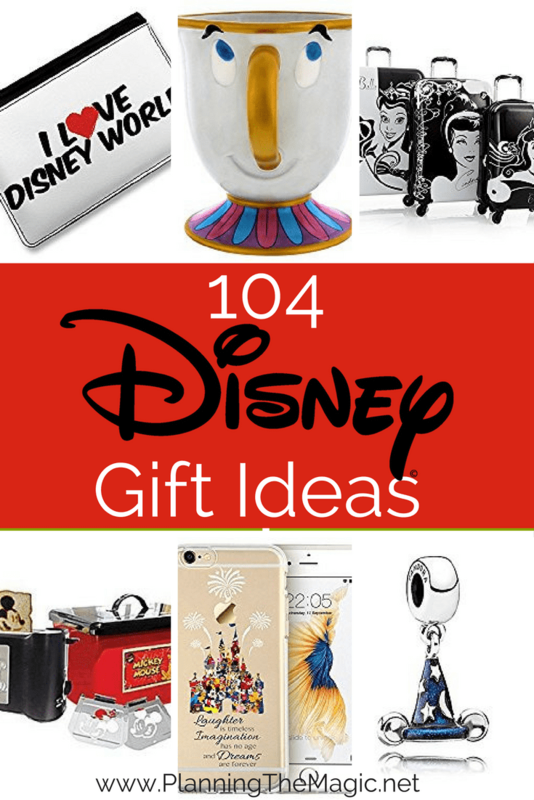 I am loving all of these Disney gift ideas! These Disney gift ideas are perfect for the holidays. I have a few people in mind who would love getting some of these gifts. I love the mickey mouse mug every time I see it, I was just in Disney last week but didn’t want to try and figure out how to get it back on the plane without it breaking. Maybe I’ll drop some hints to the hubby because I definitely want it for christmas. Oh man, we have to change that! Great gift ideas! Disney always brings a smile to one’s face – no matter what the age! Omg I love the mugs! The Beauty & the Beast cup is my favorite – I’ve always wanted one of those!